we've been having a "seattle heatwave" around here (read: not nearly as hot as the rest of the country but out of character in the pacific northwest). 91 degrees the other day...much too hot to bake. 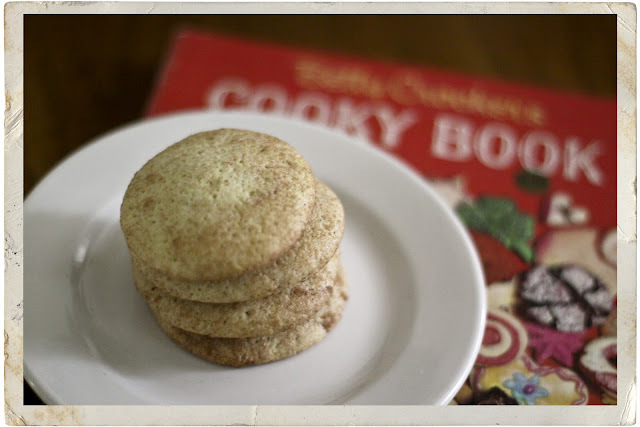 today however, was a chilly 74 at my house and i really needed a cookie so i tested out recipe #3 cinnamon jumbles! mix shortening, 1 cup sugar and egg thoroughly. stir in buttermilk and vanilla. measure flour by sifting method or shifting. blend together flour, soda and salt; stir in. chill dough. heat oven to 400 degrees. drop rounded teaspoonfuls of dough about 2" apart on a lightly greased baking sheet. sprinkle with a mixture of 1/4 cup and cinnamon. bake 8 to 10 min. or until set but not brown. makes about 4 dozen 2" cookies. do i need to keep saying that i used only butter and no shortening? right, so butter works great. 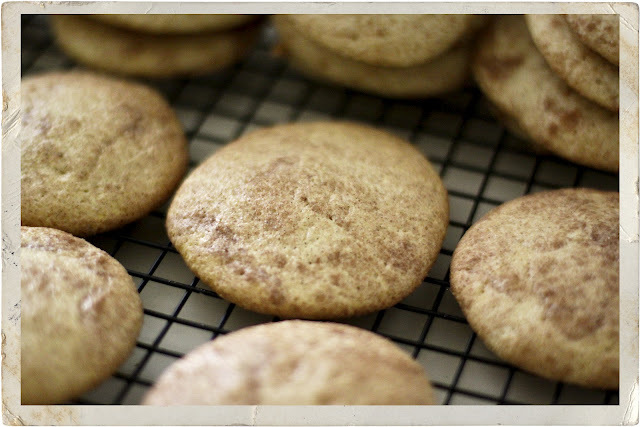 the cookies are like super-soft-cakey snickerdoodles, very tasty. Haha... don't you love what constitutes a heat wave in our part of the country? That is why I kind of love summers around here! Those look Yummy...gonna have to give this recipe a try! Thanks!